W. Bowman Cutter is Senior Fellow and Director of the Economic Policy Initiative at the Roosevelt Institute. He was a managing director of Warburg Pincus, a major global private equity firm headquartered in New York City, between 1996 and 2009, where he served as the firm’s economist, as a leader in its international business and as one of the firm’s principal fund raisers. In these roles, Mr. Cutter evaluated the financial and business sectors of a large number of economies, assessed their capital markets and considered the merits of specific investments within these markets. Mr. Cutter joined Warburg Pincus directly from a senior economic policy role in the Administration of President Bill Clinton. He has served with distinction during two Democratic presidencies: at the National Economic Council, from 1992-1996, during the Clinton Presidency – as director of the National Economic Council and Deputy Assistant to the President and at the Office of Management and Budget from 1976-1981, during the Carter Presidency, as Executive Director for Budget. Mr. Cutter also served as leader of the OMB transition team after the election of President Obama. From 1981-1993, he was vice chairman and managing partner at Coopers & Lybrand, the global accounting and consulting firm that subsequently merged with Price Waterhouse. In this role, Mr. Cutter managed a major consulting practice and was also responsible for the over-all strategy of Coopers & Lybrand, a large, decentralized international business. Mr. Cutter’s central public policy interest has been the development and management of economic policy, and in particular the issues related to economic growth, development, and the alleviation of poverty. 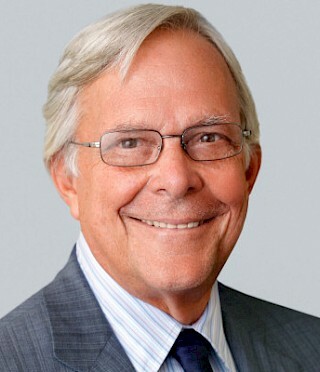 Mr. Cutter served a seven-year term as Chairman of the Board of CARE, the global development organisation (where he has been a member of the Board for 19 years), and is a founder and current Chairman of MicroVest, a leading global microfinance fund with assets under management now in excess of $250 million. Currently he is a member and former Chairman of the Board of Resources for the Future, one of the most important energy and environmental research institutes in the world, and Chairman of the Tunisian American Enterprise Fund (TAEF) which was founded by the US government to help the Tunisian economy through private sector investment. Also, currently he is the chair of the board of the Economic Advancement Program of George Soros' Open Society Foundations. In addition, Mr. Cutter is a member of the Governing Council of the IFMR Trust, in India, focusing upon market based solutions to the problems of severe poverty in India, a member of the Policy and Impact Committee and immediate past co-chairman of the Committee for Economic Development, the leading business “think-tank” in the United States and a board member of the Russell Sage Foundation. In addition, he is a member of the New York Council on Foreign Relations.